London, 1883. Britannia silver standard. On decorated staves. 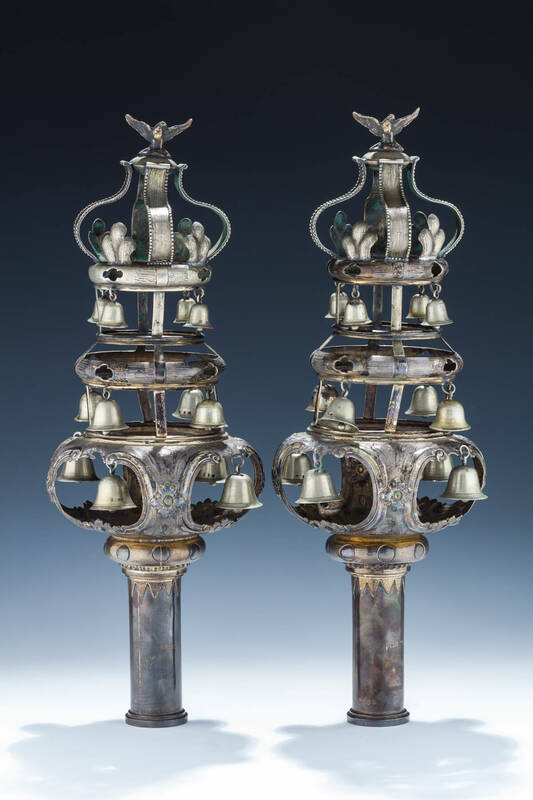 With classically chased main bodies consisting of three levels, each level fitted with four bells. Topped with a spread winged eagle. 17” tall.